Danielle, Co-Owner of Evolution Fitness, began documenting her fitness and nutrition journey last year when she dialed it in post pregnancy. As a new mom and business owner, she felt herself slipping and decided to take charge and participate in the Century 100 Workout Challenge while also using a few other resources available at Evolution Fitness. Shortly after her video blog was posted last year, Danielle’s husband and Co-Owner became ill. 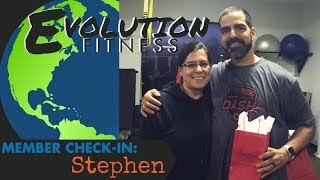 It was Evolution Fitness that helped Danielle manage a crazy schedule, a business and a one year old child at home. Check out the video as Danielle shares her story! Check out what one of our classes looks like!